Gained by the years of experience in the domain, we offer our precious clients with quality-assured Spice Roaster. These spice roaster are used for effectively roasting spices such as cumin seeds, jeera, coriander seeds, clove and ajwain. It comes with fitted electric heater and provides wide space to incorporate l. P. Gas burner. It features rotary drum which facilitate in quickly discharging materials into the cooling tray and the blades provides uniformity to them. Finally roasted material is dropped into storage tank. Power Supply: 440V A/C 50Hz, Electrical Supply. 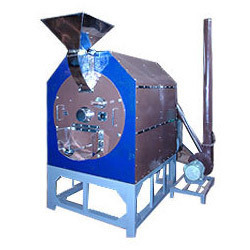 Owing to our expertise in this domain, we are able to offer a superior quality range of High Capacity Spice Roaster. 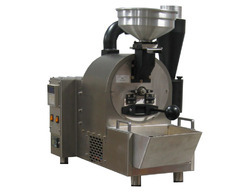 Our High Capacity Spices Roaster offers handling of load varies from 250 kg to 500 kg. These high capacity spices roaster comes handy in roasting cumin seeds, ajwain, coriander seeds, clove and jeera. This offering of ours comes with L.P.G burner, this machine also features an attached electric heater.